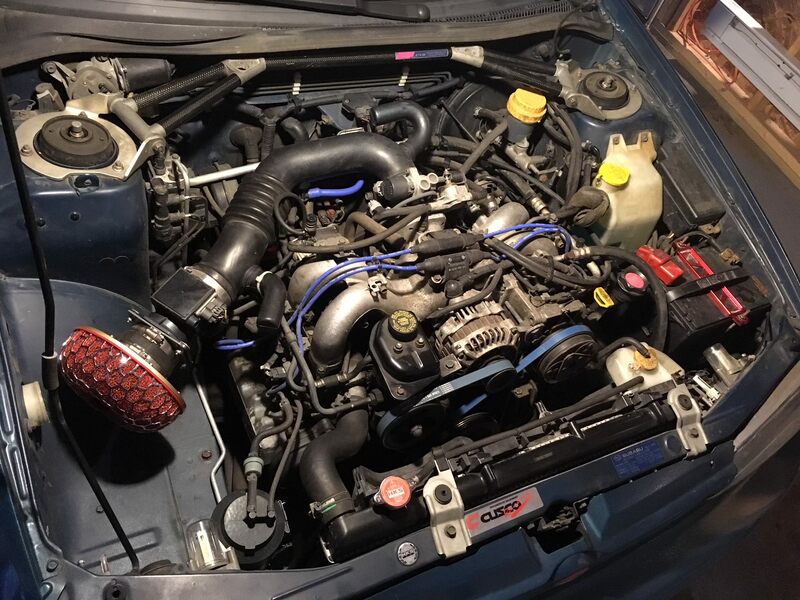 93' Impreza L "Project Bluebird"
Radiator was replaced at around 220k, and I've never had a problem with cooling. I've always wondered about these caps, but never used one; let's see what it does. That's a right purty engine bay, gotta love the details! 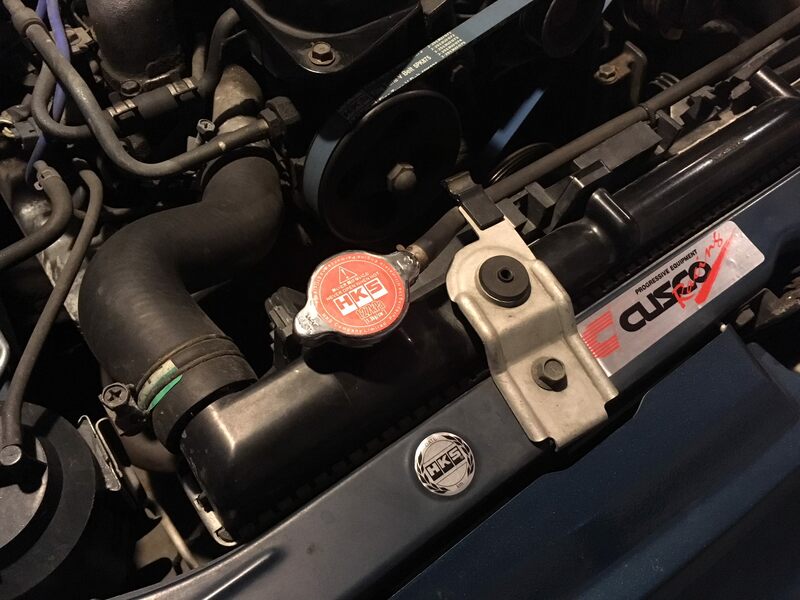 What's the high pressure cap do, raise the boiling point of the coolant? Supposedly it's supposed to improve engine function, since more coolant can flow freely. I never used to beleive in them, and thought they were gimmicky at best and would cause overheating issues at worst. I figured I'd give it a shot, as I've read the reason people have had trouble with them is due to an old radiator or inefficient cooling parts. Plus it looks cool. be careful with water and that HKS filter. my MAF gets angry if it's in a rain storm for too long. i have my vents open though..so..grain of salt there. 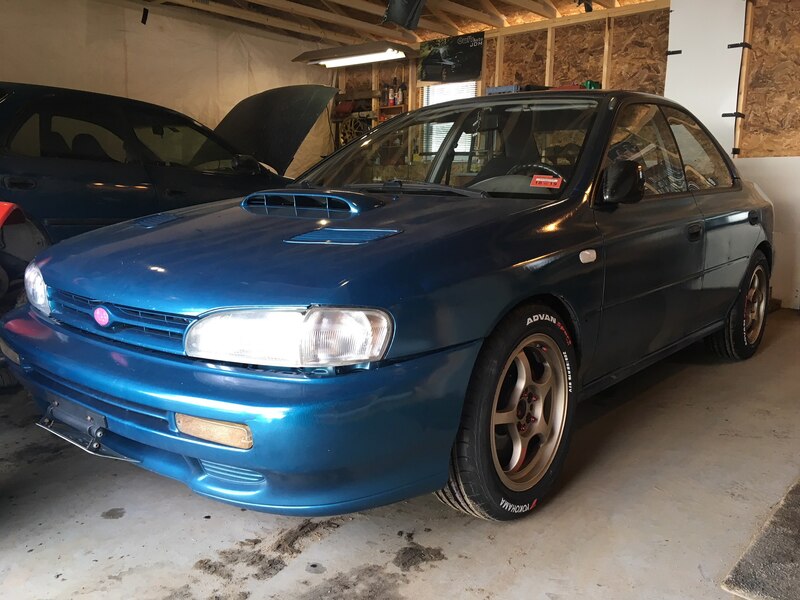 You are correct...I have an Injen cone filter waterproof 'hairnet' leftover from that green Impreza, but it doesn't fit. I think I'm going to try and find one that fits over the HKS filter because I love it so much. 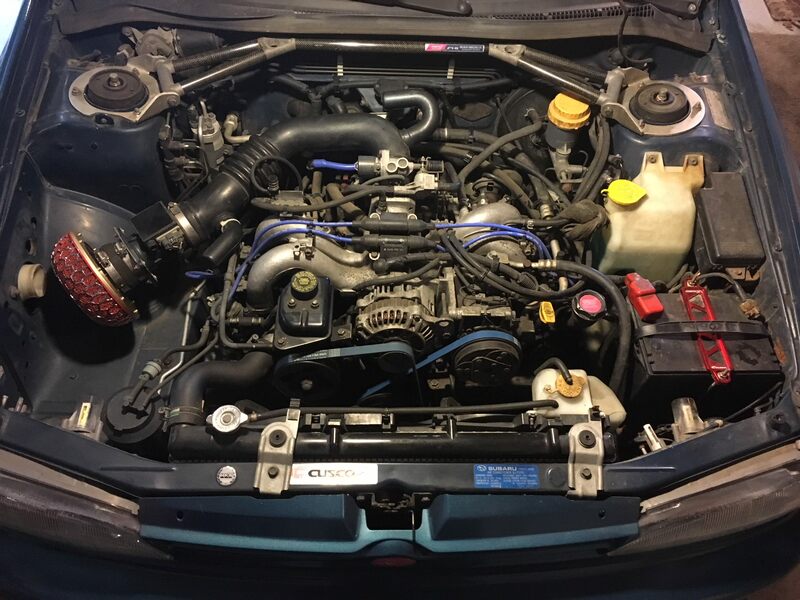 I don't want to seal up the vent or the scoop because it keeps the engine bay nice and cool. Thank you Mr. Hot Tub, I wish our hot tub in the backyard worked as I enjoy them shits-they're hella therapeutic on my back. 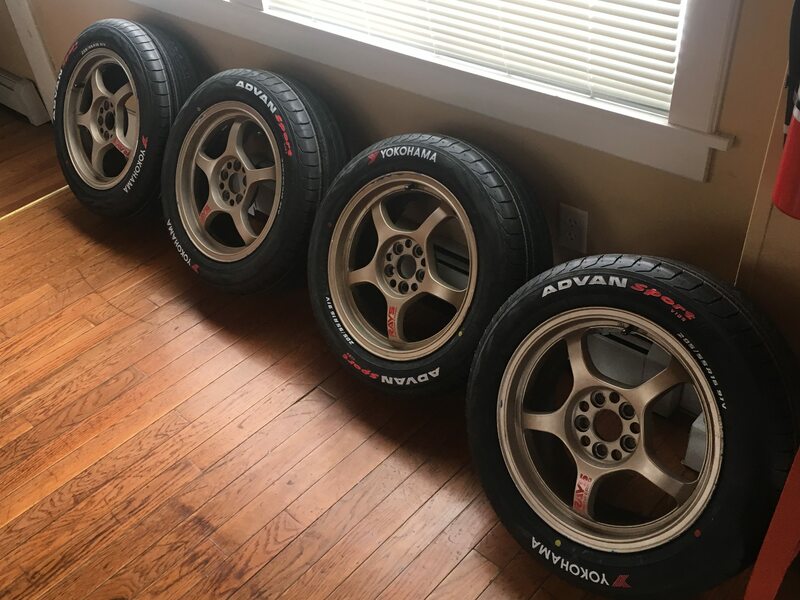 The wheels are Rays Gram Lights 16x7 I believe, and Advans Sport V105 205/55/16. I just tested the tires today and they do grip. Not a thorough test by any means, because it's still like 40 degrees up here in the frozen north. Does anyone know to get around the ultra fast blinking of the directional's after installing LED's in the tail-lights, fender markers, and bumper? Right now I have led's in the clear corners, and fender markers-No issue with directional speed. I tried installing the CREE's solely in the tail-lights, and the signals became excessively fast as if there were a short. I understand LED's are much less of a power draw, but SO MUCH LESS to cause this?